Behold! 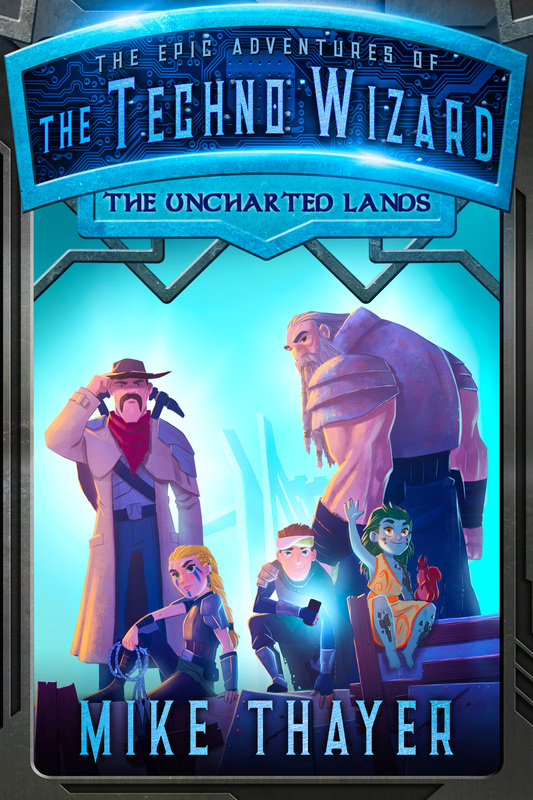 The cover to THE UNCHARTED LANDS, book 2 in THE EPIC ADVENTURES OF THE TECHNO WIZARD! I had a blast working on this cover with my artist, Carmine Pucci. The guy is a wizard. Every cover is going to show how the characters grow and gear up for their next adventure. Having all six book covers side by side will be something I cannot wait to see. So buckle up! The book is slated to hit Amazon and other online retailers on Dec 10th, just in time for Christmas! Early feedback has been fantastic! The book is one part Helm’s Deep, one part Gladiator, with a dash of Fablehaven. I think it has turned out awesome. Each of the characters have a bit of an update and are armored up and ready for battle…and they need to be. The group is joined by Jerg, Addi’s lieutenant from Trellston. We see a bit of him in book 1, but he is UNLEASHED in book 2. Oh, and Willow now has her own squirrel. Let me know what you think! Something, however, is not right in the Uncharted Lands. The attacks on the wall grow fiercer, more frequent, more coordinated, and Sam’s drone catches a glimpse of an evil long-forgotten. Don’t miss the second book in Mike Thayer’s THE EPIC ADVENTURES OF THE TECHNO WIZARD. THE UNCHARTED LANDS delivers more action, more chills, and more laughs in the series that everyone is talking about…everyone cool, at least.